I try to keep it as minimalist as possible and don’t buy much in terms of souvenirs. 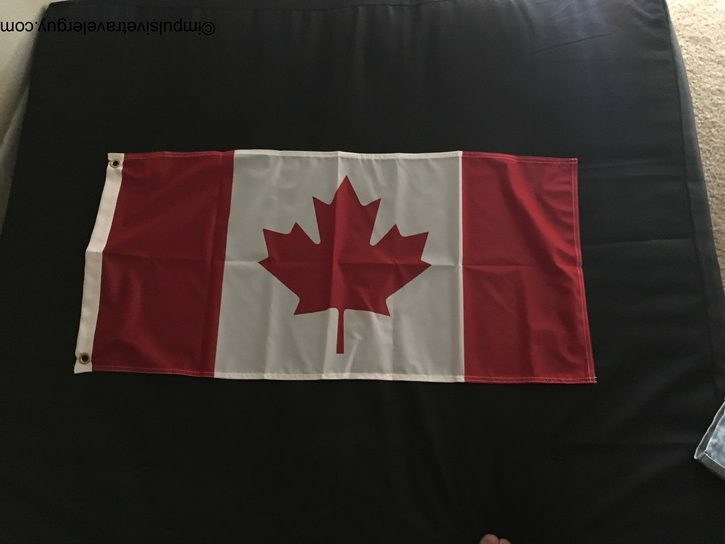 I did decide, since I do love to go to Canada, I was going to buy a Canadian flag. I would hang it by my American flag. Now in America, they damn near hand out flags on every corner. I found this is not the case in Canada. It’s actually quite the opposite and it took me a lot of running around to finally find a place that sold a Canadian flag. I had already been at Walmart to buy chips, so I started my quest there. I figured they’d have an aisle completely full of flags, like they do in America. I was wrong. I asked a worker there and they said they only carry them around Canada day. 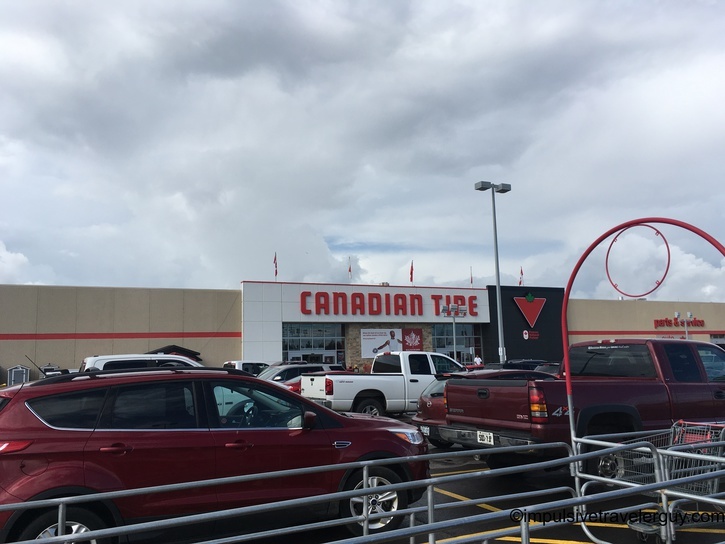 I then drove to the Real Canadian Superstore. Now you figure a business with the words, “Real Canadian,” followed by “Superstore,” would have a superstore’s worth of flags. I was wrong again. My next stop was the mall. 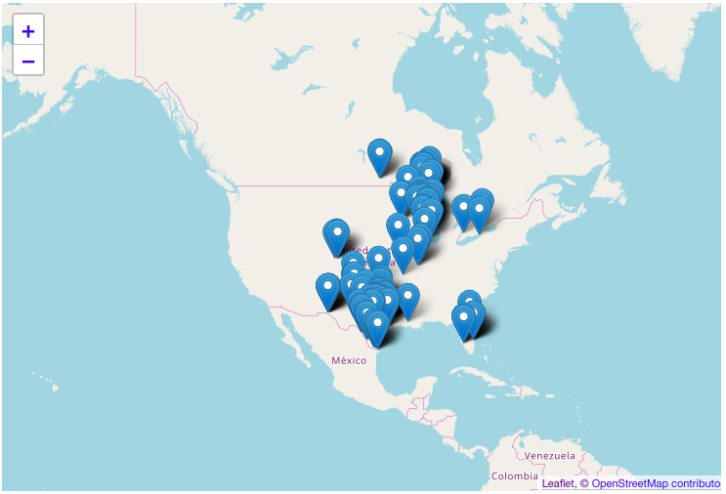 I hit up about a dozen different places including HMV, Sears, and many others I can’t remember. None of them had flags. I’d ask for suggestions and anywhere they suggested would not have a flag either. 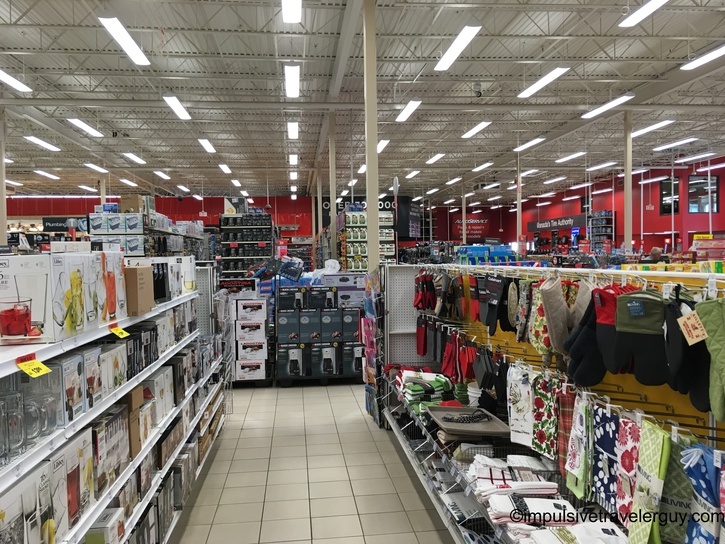 Finally, a lady working at Sears suggested Canadian tire. I made my way to Canadian Tire. It was like this big hardware store. After looking a while I finally found some flags! After all this running around, I finally found my flag! I definitely did find a major cultural contrast between Americans and Canadians when it comes to their respective flags. While I did see a bunch of Canadian flags flying depending on where I was, it was very hard to find one. I do find Canadians have a strong national pride, just like Americans do, but they aren’t as outwardly about it like Americans. It is definitely more implicit, but you can feel the vibe that they take great pride in not just the country itself, but the great society they have also built in that country. 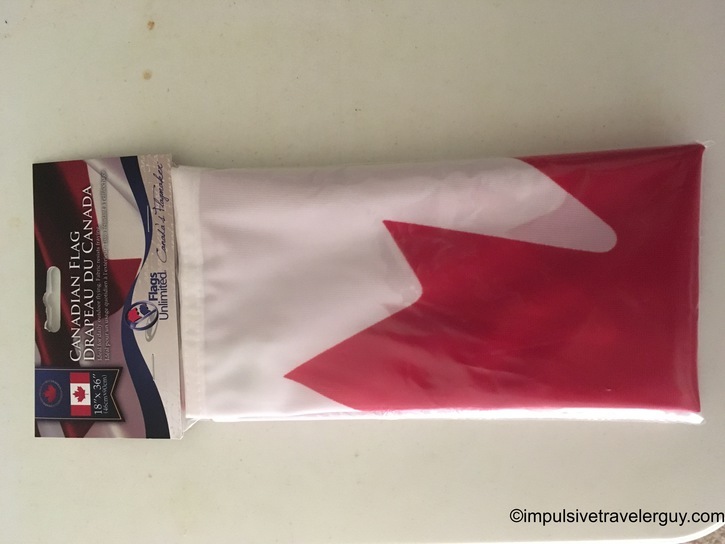 This is probably why not many stores sell the flags, except around Canada day. I was happy to find my flag and it will definitely remind me of all the great memories I have made so far in this awesome country!